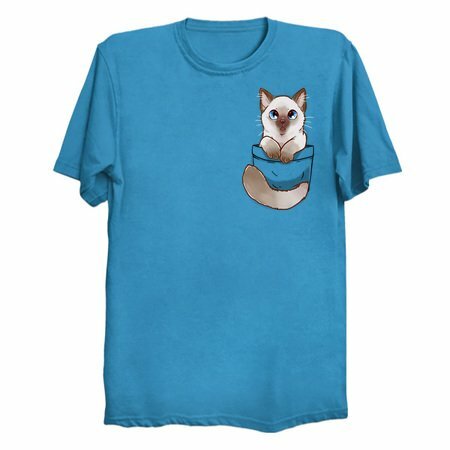 I do pocket cats now too and I am taking your suggestions! 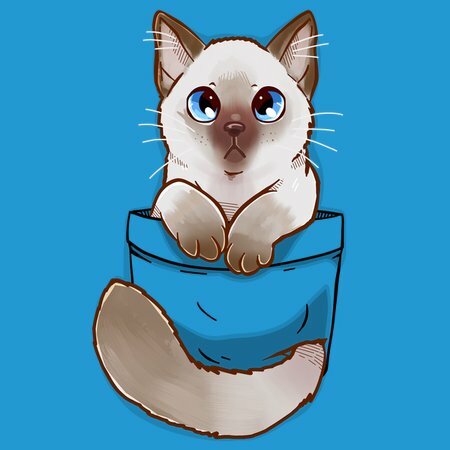 Adorable cute ragdoll kitty pocket for ragdoll lovers - original art. TechraPockets is my 2nd design name for *ONLY* Pocket tees! Give me pocket suggestions on my Twitter: @SarahR_Art. Russian ragdoll, blue eyes, grey fur, furry bushy tail.